Growing up in the same house once owned by literary legend Chinua Achebe—a detail that gives her biography a mythological flair—Adichie has had literary ambitions since she could spell. Still, in keeping with expectations for high-achieving kids everywhere, she entered medical school in Nigeria. “At some point, you realize you’re just not made to be a doctor,” she says, and after two years, she drastically shifted course, moving to the US to pursue writing, with stints in Philadelphia, New Haven (“It’s cozy,” she says, but “too much Thai food”), and Baltimore, where she still spends part of the year. Since her move stateside at 19, she’s racked up an intimidating list of achievements: two novels (“Purple Hibiscus,” 2003, a coming-of-age story, and “Half of a Yellow Sun,” 2006, set against the Nigeria-Biafra war), a short-story collection (“The Thing Around Your Neck,” 2009, newly available in paperback), two master’s degrees (one in creative writing, the other in African Studies), and a laundry list of awards—the Commonwealth Writers’ Best First Book Prize, the Orange Prize, a MacArthur Fellowship, and this month, a place on The New Yorker’s “20 Under 40” list of fiction writers. With the short-story collection published, (“For me,” she says, “it’s less about knowing it’s done-done and more about feeling comfortable enough to let it go”), Adichie has a number of projects percolating. “I want to write a very contemporary sort of urban Nigerian story that’s set in Lagos and is present-day and about the lives of women. I want to write about slavery, I want to write one of those,”—she stops herself—“I probably won’t, but you know, this is my dream—one of those huge sagas. 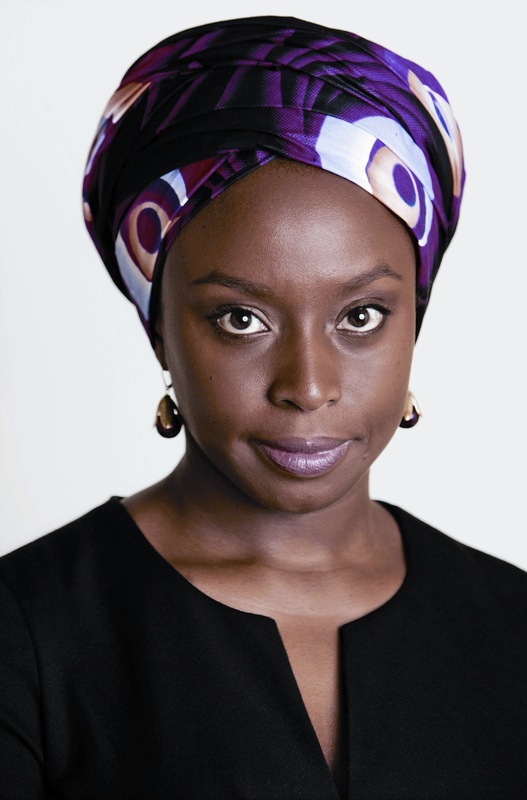 So I’ll go back in history and then trace two different families and one gets sold into slavery and the other doesn’t, and I’ll sort of trace their stories all the way to the present day, the African American and the African.” Adichie laughs. “This is a dream, of course, because it will take ten years of my life to do well!” Luckily, for her and for us, she’s only 32—there’s time.